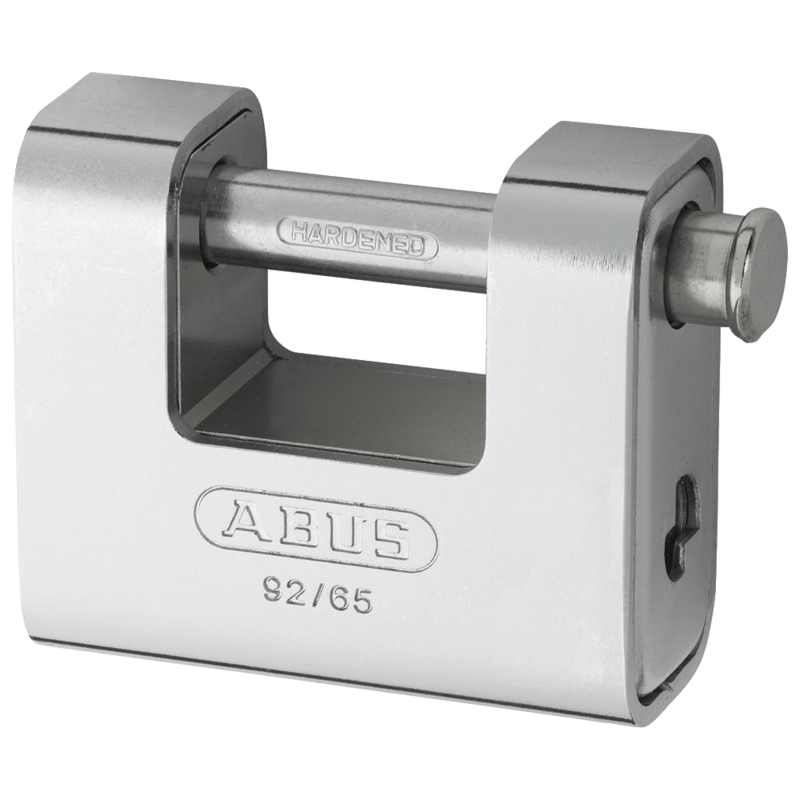 The ABUS 82 Series Brass Sliding Shackle Shutter Padlock features a through hardened steel alloy shackle which rotates when attacked. 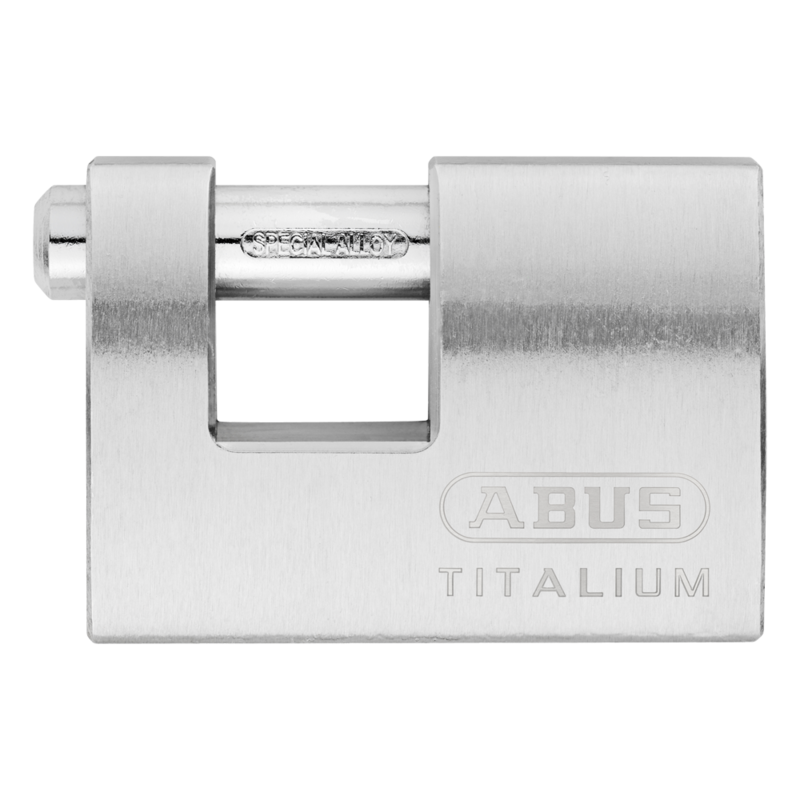 TITALIUM™ locks by Abus represent a new dimension in security and represent a high level of security whilst weighing significantly less (30%) than comparable locks. This is all thanks to the innovative material of which the locks are made, namely a special aluminium alloy that uniquely combines a high level of torsion with lightness. 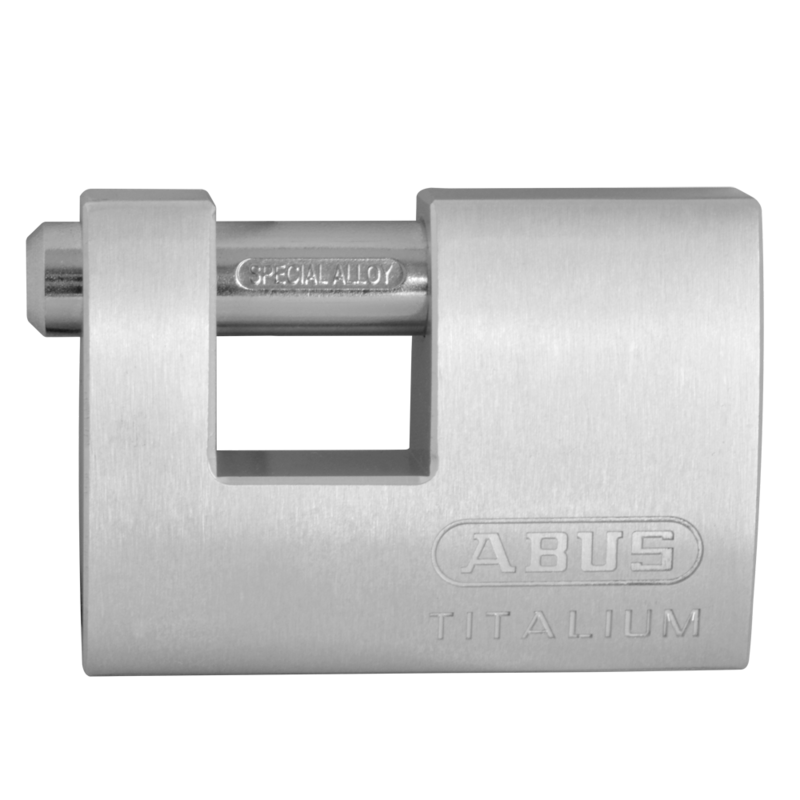 The TITALIUM™ locks have a modern stainless steel finish, and offer both maximum strength & low weight. 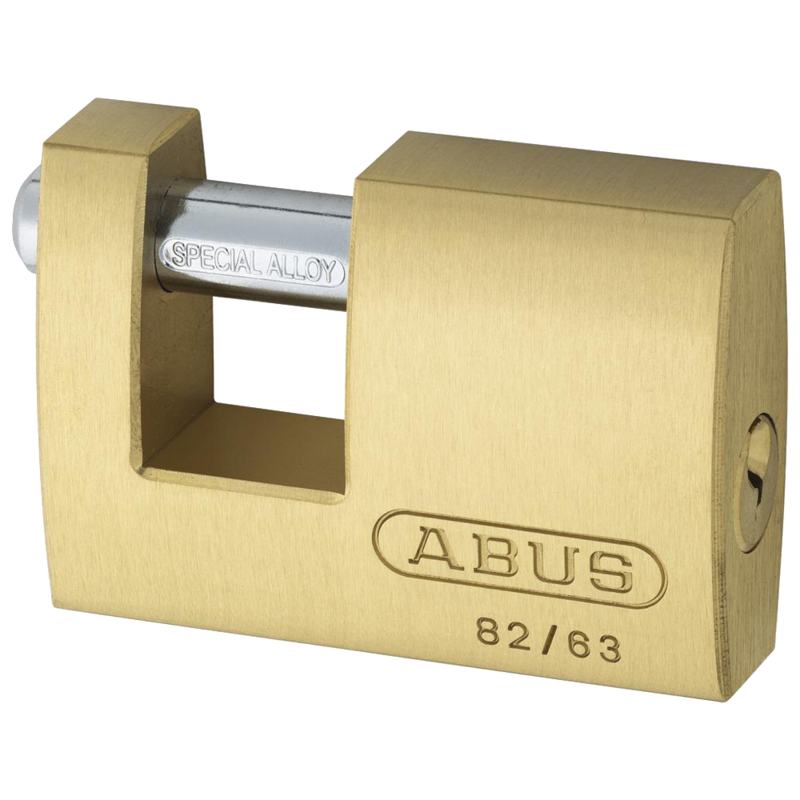 The Abus Titalium range of padlocks is an industry leading range of strong and lightweight padlocks. 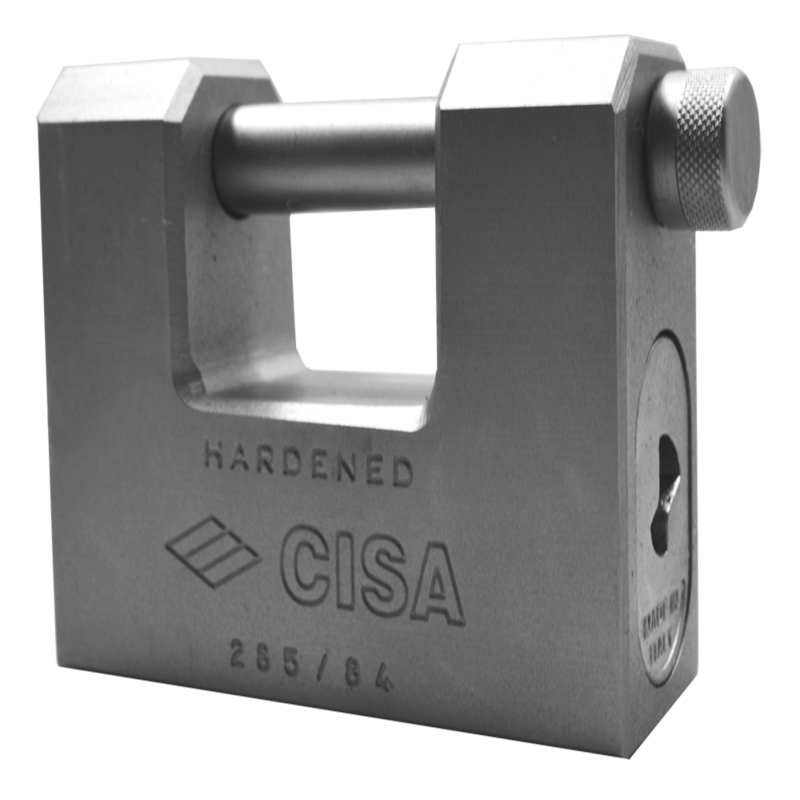 The 98TI product series comes with a solid Titalium block body, a high tech 10 pin cylinder and a sturdy 12mm hardened steel sliding shackle. 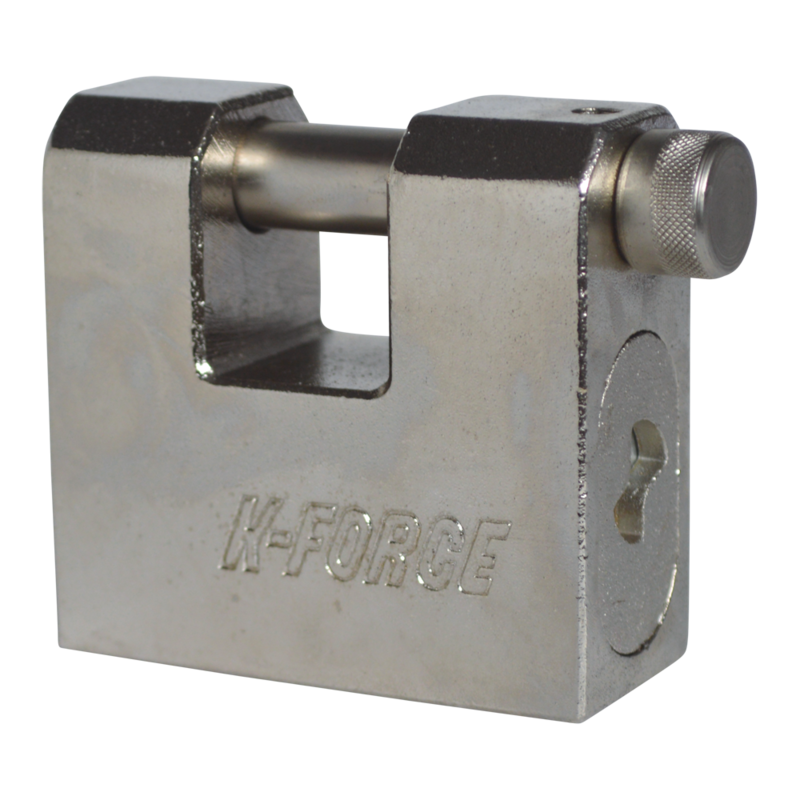 The K Force sliding shackle padlock from Baton Locks features a sold hardened steel body and shackle. They are suited for use on a variety of commercial applications such as roller shutter doors, warehouses and industrial units. 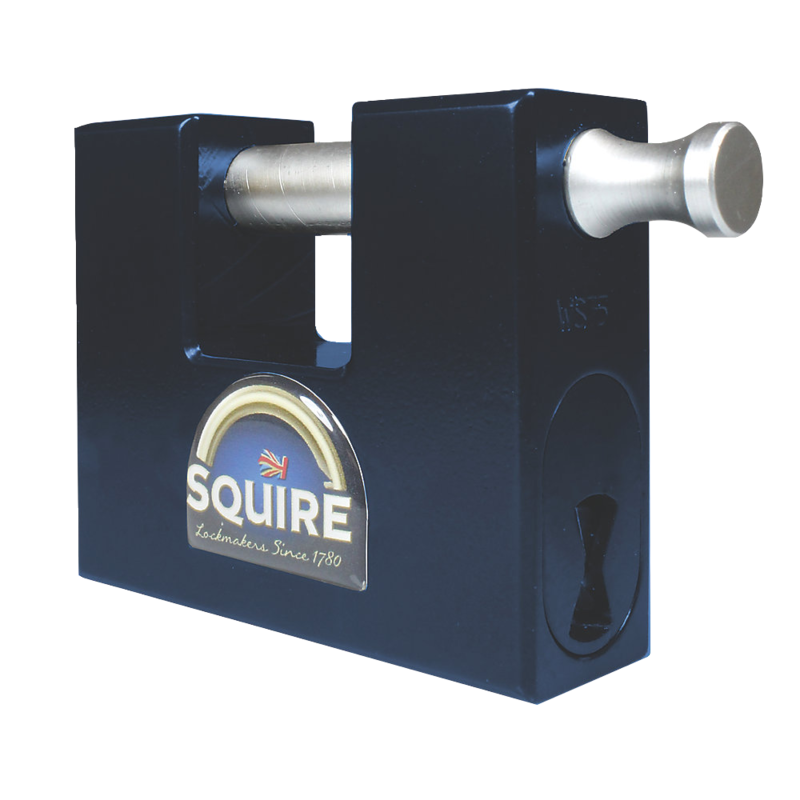 The Defender Armoured Warehouse Lock is designed to be robust with high attack resistance. They are suited for use on a variety of commercial applications such as gates, roller shutter doors, warehouses and industrial units. This professional grade, maximum security sliding shackle padlock from Era features a hardened steel lock body and shackle (to protect against saw and bolt cutter attacks), a re-keyable 5 double pin cylinder with magnetic pin (for the ultimate bump, pick and drill resistance) and a dual stainless steel ball bearing lock mechanism for improved resistance against pull attacks. 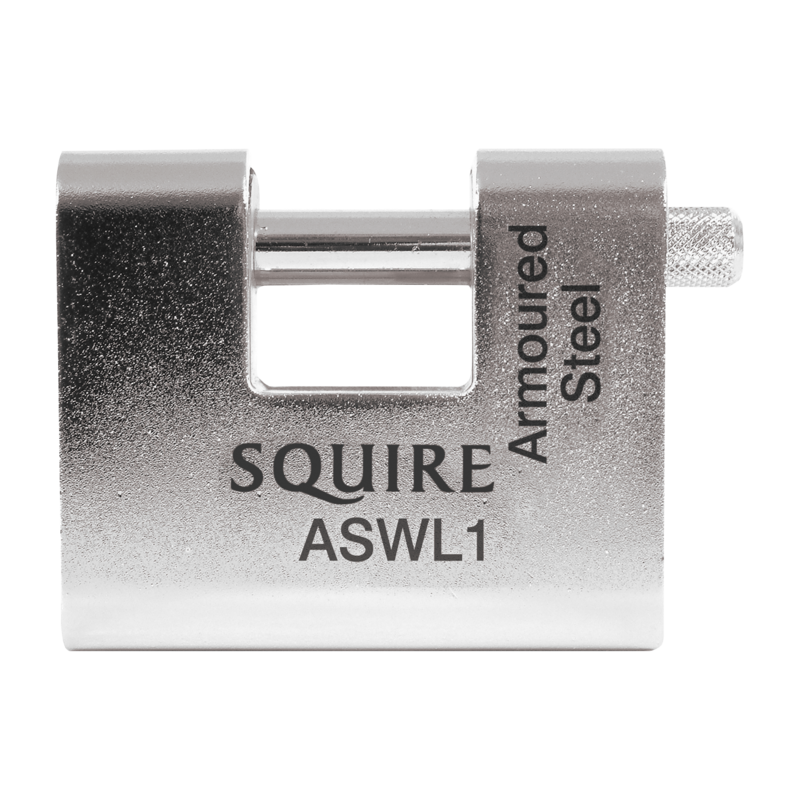 The ASWL1 and ASWL2 armoured steel locks are specifically designed for securing commercial applications such as warehouses. 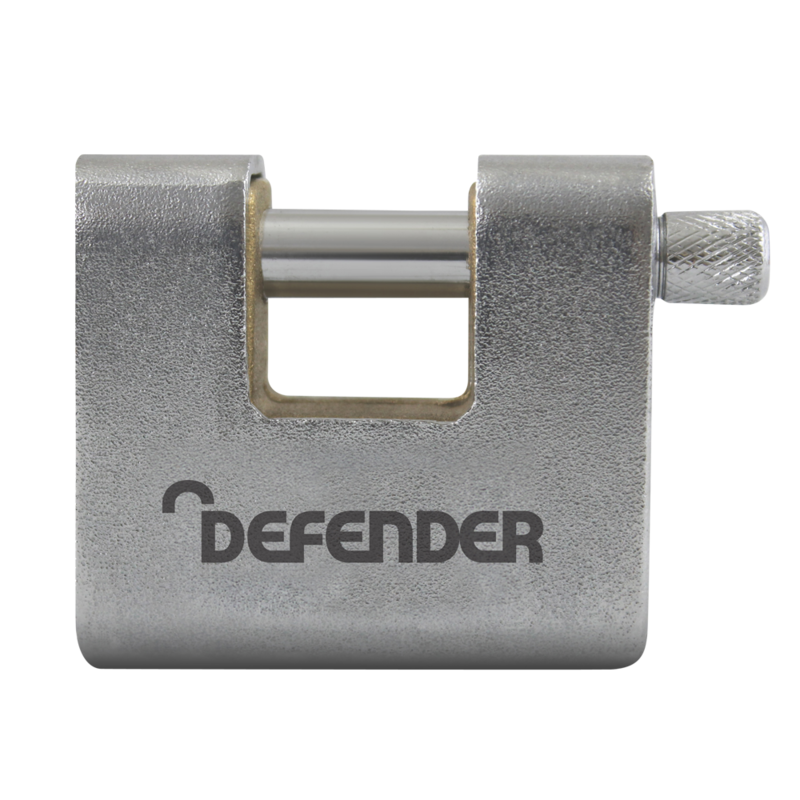 The solid brass body is protected by armoured steel for ultra-resistance to attack, and the rotating hardened steel shackle is particularly resistant to a sawing attack. These locks are particularly suitable for garages, warehouses, industrial units, commercial premises and retail outlets. 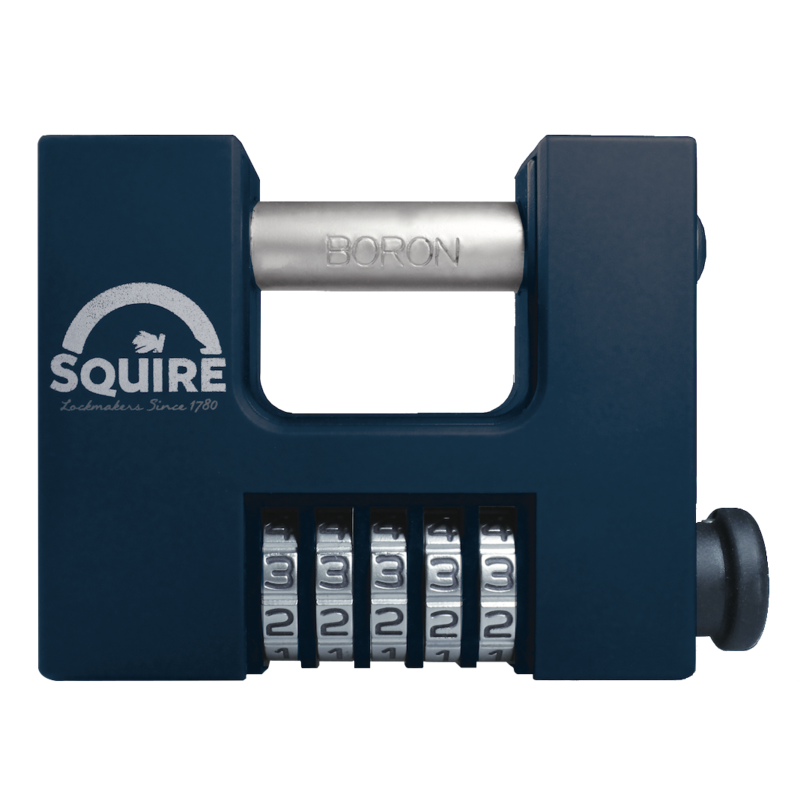 This CBW85 Sliding Shackle Padlock from Squire is a purpose made, high security padlock designed to meet the security needs of rollers shutters and storage units. 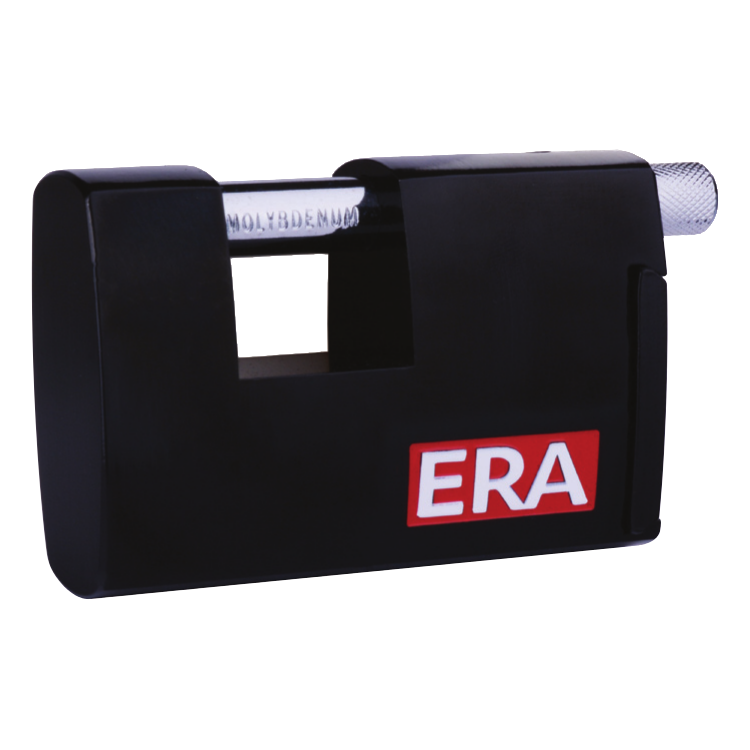 This hard-wearing unit features a solid lock body, a 5-wheel combination mechanism and a hardened steel shackle for superior resistance against bolt-cutter attacks. The Stronghold WS75, with its 80mm solid hardened steel body and 12mm hardened boron alloy steel shackles, combines compact design with market leading product performance. Designed to resist the most determined attacks, these locks can also function reliably in the harshest weather conditions thanks to the highly corrosion resistant electrophoretic black coating. 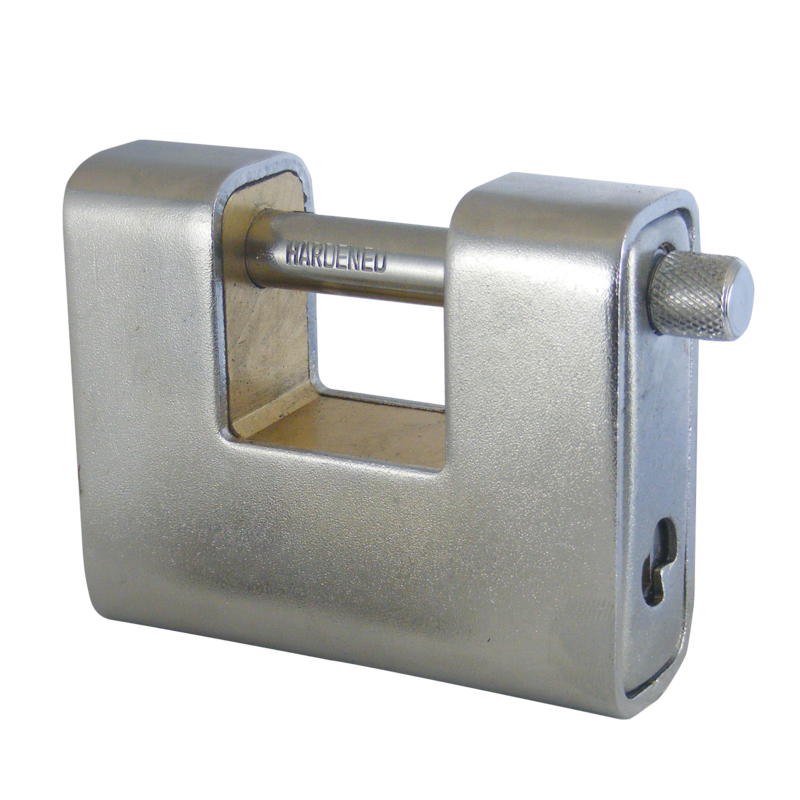 The Stronghold WS75 padlock is particularly suitable for containers, warehouses, perimeters, gates, commercial vehicles and industrial units.